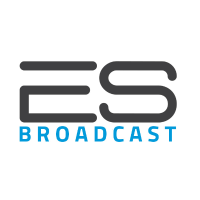 The Sports Video Group is pleased to welcome ES Broadcast as a corporate sponsor. A leading provider of 4K broadcast hire equipment in Europe, the company has invested significantly in UHD broadcast technology over the past two years, amassing one of the largest 4K-equipment hire fleets in the world. ES Broadcast’s inventory includes more than 170 Sony HDC-4300 4K camera channels — the largest fleet of its kind on the continent — as well as Sony HDC-4800 ultra-slow-motion 4K channels, Grass Valley LDX-86N and LDX-C86N 4K cameras, more than 250 4K lenses from Canon and Fujinon, 4K monitors from Sony and Canon, EVS XT4K production servers, and Tektronix waveform monitors and rasterizers. The company’s significant investment in 4K broadcast equipment, supported by a vast array of tripods and grip from Vinten, underlines its commitment to supporting clients’ live productions with the latest in cutting-edge broadcast technology. With an expert team boasting decades of broadcast-industry experience, ongoing investment in cutting-edge technology to further expand its hire offering, along with approved rental partnerships with Fujinon, Grass Valley, and Tektronix, ES Broadcast is perfectly placed to help its clients deliver spectacular live sports coverage. And ES Broadcast offers systems-integration services founded on experience of delivering more than 200 remote-production and SNG vehicles and a similar number of fixed installations, encompassing studios, postproduction suites, and playout and MCR/TX facilities. Leading remote-production companies already rely on ES Broadcast’s 4K and HD broadcast equipment to cover prestigious global sports events, such as English Premier League soccer, the UEFA Champions League final, UEFA’s Euro 2016 soccer finals, the F1 Monaco Grand Prix, the IAAF World Athletics Championships, and the IPC World Para Athletics Championships.